A Twitter exchange may have cost one prospective NASA intern a job. 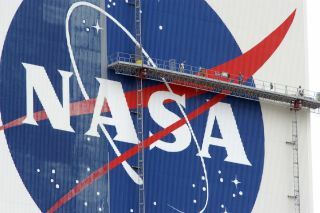 A newly hired NASA intern recently lost a position at the agency after a vulgar exchange with a famous NASA engineer on Twitter, according to news reports, such as one from USA Today. The exchange — captured by several news outlets through screenshots — began when the user, who used the handle @NaomiH_official, wrote in all caps, "I got accepted for a NASA internship," adding a sentence with profanity to express excitement. The post garnered a stern response from Homer Hickam, a former NASA engineer whose memoir "Rocket Boys" — about growing up in a rural coal-mine community during the 1930s Depression while he learned about rocketry — inspired the 1999 Hollywood movie "October Sky." "Language," Hickam replied to the tweet. @NaomiH_official responded to Hickam with another vulgar tweet, adding at the end of it, "I'm working for NASA." Hickam answered: "And I am on the National Space Council that oversees NASA," referring to his appointment from earlier this year. The conversation quickly went viral on Twitter, garnering thousands of responses from other users. Following the exchange on social media, Hickam wrote a blog post (which has since been deleted, but is cited in USA Today and other outlets) saying he had heard @NaomiH_official was fired from the internship. Hickam added that he hadn't reached out to the agency about the tweets and that he does not have a say in NASA employment decisions. The agency got wind of the conversation because so many users had responded while tagging NASA, Hickam said. "It occurred to me that this young person might get in trouble if NASA saw it, so I tweeted to her one word: 'Language' and intended to leave it at that," Hickam wrote in the post, which was cited in several news reports. "Soon, her friends took umbrage and said a lot of unkind things, but long after I was gone, as I immediately deleted my comments and blocked all concerned." Hickam added that @NaomiH_official apologized for the comments, as did he, and he is doing "all that he can" to find the Twitter user a position in the aerospace industry. Meanwhile, @NaomiH_official made their Twitter profile private, adding in the bio area, "Taking a break from Twitter for a while." NASA did not immediately respond to requests for comment from USA Today and other news outlets that reached out to the agency.